Speeds up ordering and delivery. Fujitsu General has opened a new spare parts warehouse in Perth that has significantly improved the ordering and delivery process for Western Australia from weeks to days. 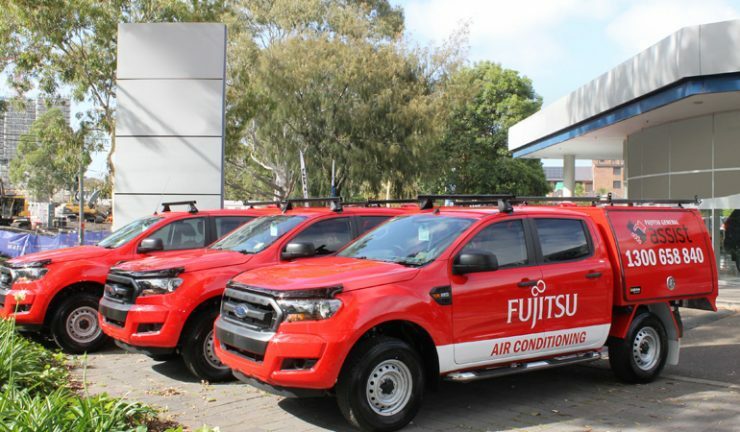 Complimented by a new e-commerce platform, Fujitsu Assist raises the efficiency and accuracy of the ordering and servicing of Fujitsu air conditioning systems nationally. The Fujitsu Assist online parts ordering portal can now be accessed by all authorised partners as well as external service technicians. It allows all Fujitsu customers to benefit from live, up-to-date product information and pricing, with a quick expedited parts delivery service. Since it was launched in June 2016 to key Fujitsu dealers, more than 85% of users agree it has met their needs and saves time when ordering; 70% found the portal easy to use and understand the information on the website. The system has a simple part number or model number search field that displays relevant part information. Users can see live data such as stock availability and current pricing, with a shopping cart for orders, as well as being able to order parts for warranty claims. Fujitsu Assist customers can create accurate quotes instantly, including estimated delivery times and pricing, which can be searched quickly with the customer and processes quickly once approved. Other features include a personal account where orders can be viewed and re-ordered; a live chat feature and an address book with access to assignment notes and delivery information. Registered users can access the platform from a desktop or mobile.